Sr. Katherine Feely, SND has prepared a very helpful study guide (pdf) for the film that is garnering all kinds of awards. 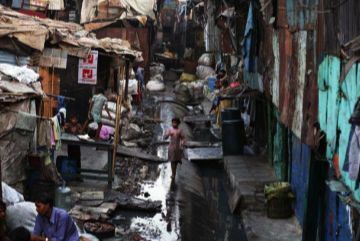 The guideÂ slumdogmillionaire (pdf) covers the films main themes, relation to Catholic Social teachingÂ discussion questions and isngihts into the real slum the film was based on. Could anyone tell me how to open this pdf. file? so that I can get the Study Guide? Thanks. Simply click on it. THe tricky part may be finding how your particular browser handles “downloads”. Some browseers have a special folder for “downloads”. One way is to search your computer for a file with the title “slumdogmillionaire”. Notice there are no spaces in the file name.